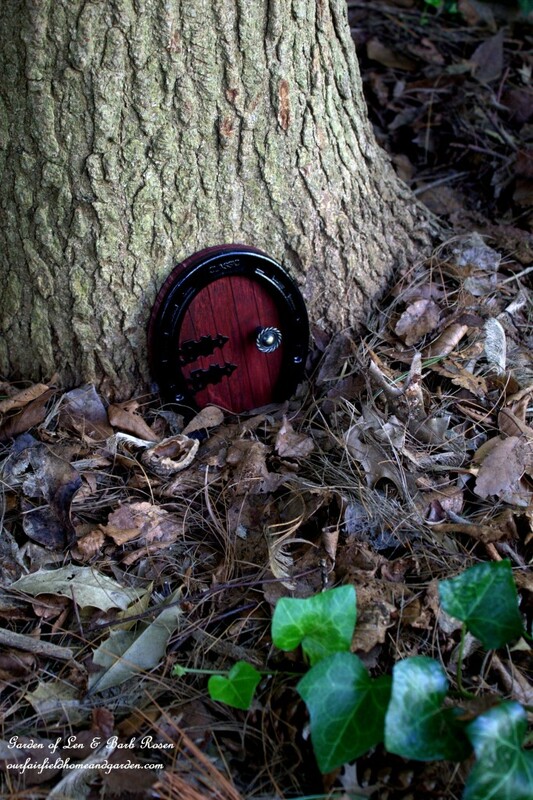 Recently, I saw some wonderful hand-forged fairy doors for sale and fell in love with them. The only problem was the price – $58 each! I tried to come up with a way to get the look without spending that kind of money. 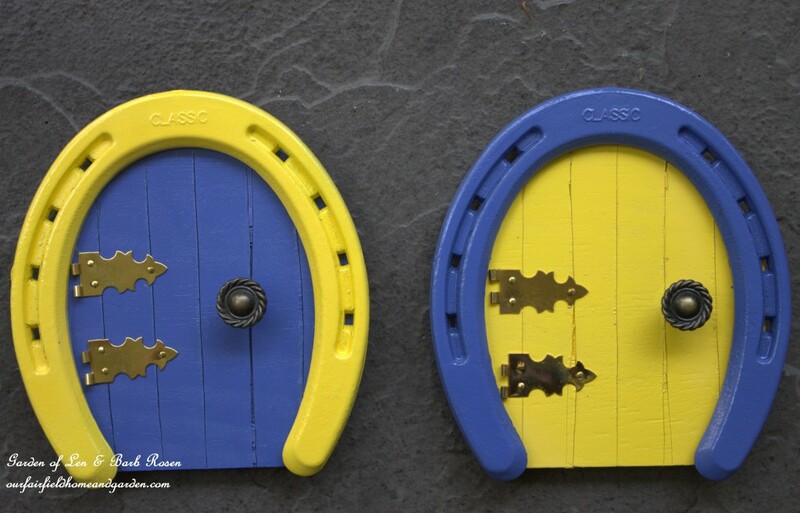 Here’s what I came up with ~ Horseshoe Fairy Doors. A horsey friend had given me tons of used horseshoes. You can also check with a stable or farrier for used shoes or check out Tractor Supply Company or Amazon to purchase new ones. At the hardware store, I bought a can of black spray paint, a package of 5/8″ x 2 3/4″ decorative hinges and 3/4″ decorative knobs. Wood for this project was reclaimed from a free wooden wine crate. After popping the pins out of the hinges with a small nail and hammer, I laid out the project to see how it would look. It was going to be great! It took about two hours from start to finish to make two doors. But, now that I have worked out the bugs, I could do them in less than half that time, and will. 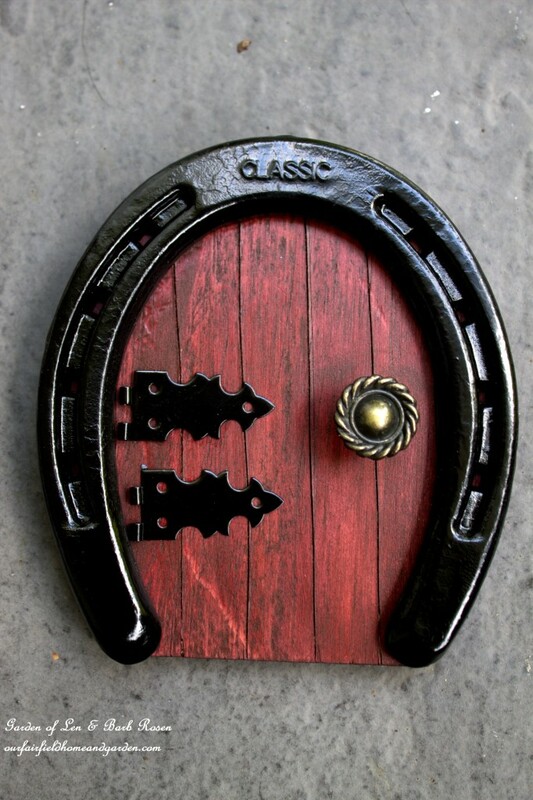 Below are the directions to each of the steps to make your own Horseshoe Fairy Doors. 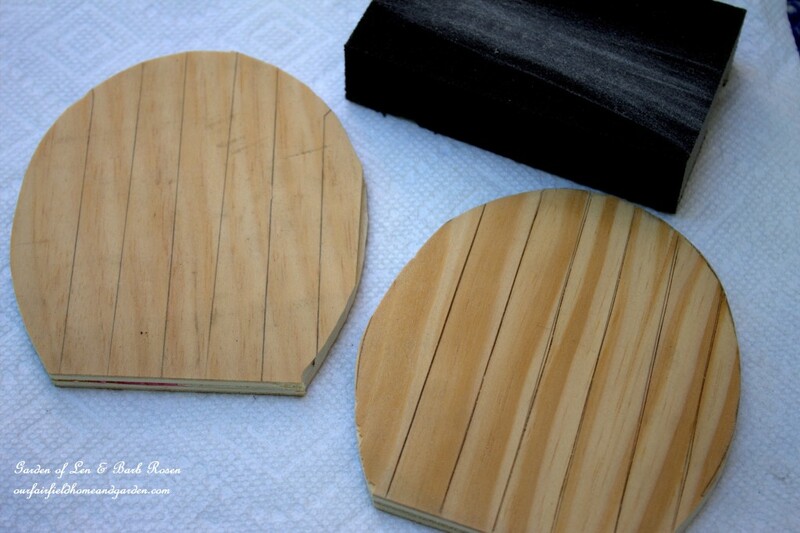 Start by using a pencil to trace around the horseshoe on your wood. A jig saw will make quick work of cutting the doors out. Lightly sand the edges of your door cutouts so there are no splinters. Then mark “planks” on the doors with a ruler and pencil. A box cutter knife was used to score the lines on these doors for a wooden board effect. You can skip this step entirely if you want a flat door with no markings. Gel stain from another project was used to stain the fairy door cutouts. 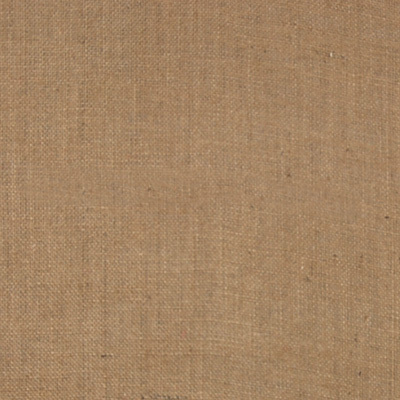 Gel stain is easy to use since it doesn’t run and drip like other stains. 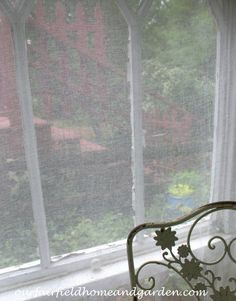 Just take a small dollop on a rag and rub it on, working it into the lines cut on the doors. Apply more than one coat if you want a darker intensity of color. 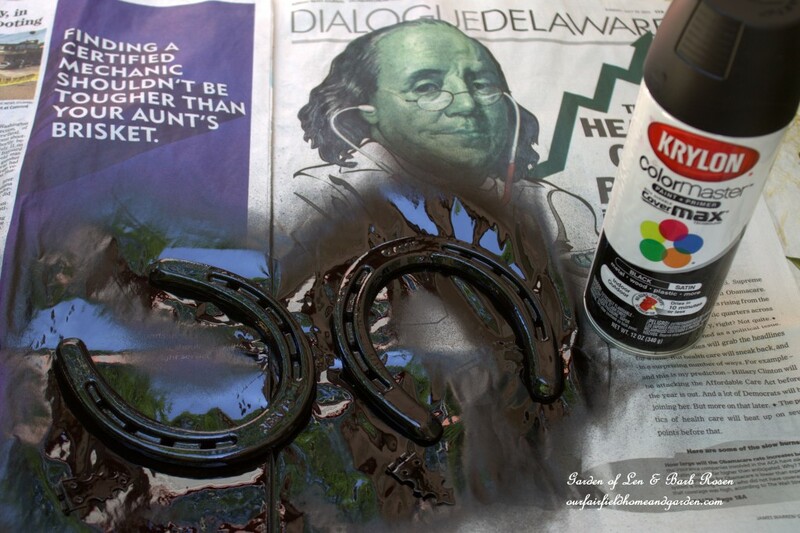 Next, spray paint the horseshoes and hinges. Because I didn’t have any on hand, I had to buy a can of spray paint which will last through many more projects. Black was my color choice, but any color would be fun! I do have some purple and yellow spray paint leftovers and might experiment with more colorful doors next. The final step is to glue the pieces of the Horsehoe Fairy Door together. I used E-6000 industrial strength adhesive that I had left over from another project. Just make sure the glue you use is weatherproof and recommended for outdoor use. 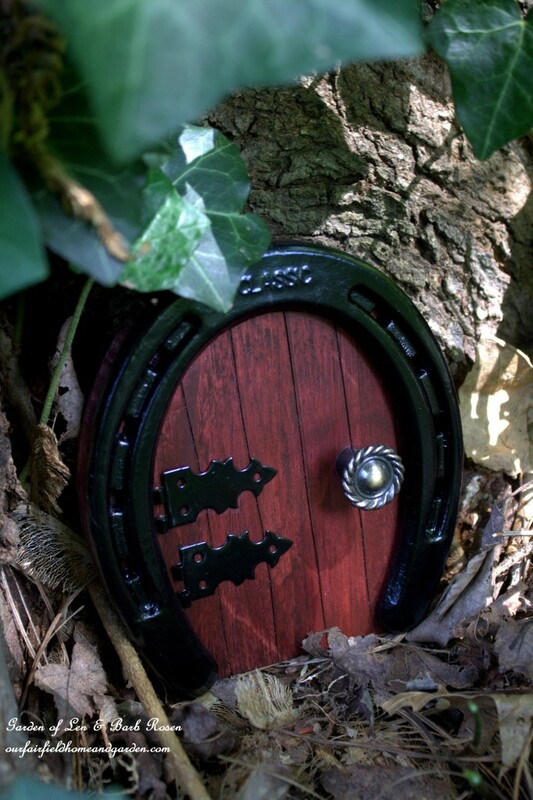 These Horseshoe Fairy Doors found homes outside in our garden, but would look very cute indoors too. So, even if you don’t have a garden, a fairy could come live at your house! I spent a total of $9.77 making two fairy doors. 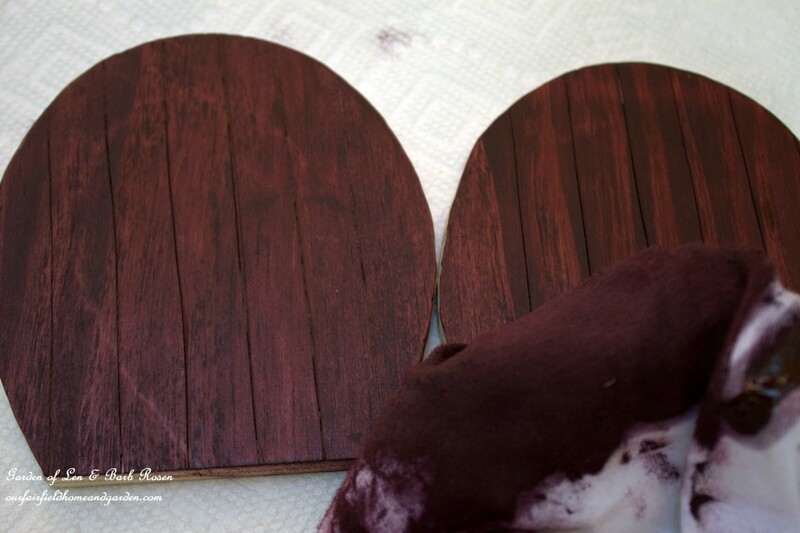 At less than $5.00 each, I can afford to make lots more fairy doors for our garden. 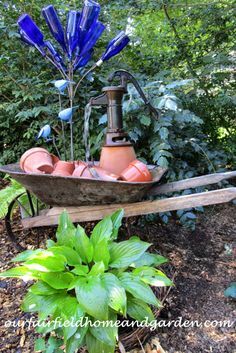 And won’t they make terrific gifts for my gardening friends? Now you need to make some fairies! See how here! 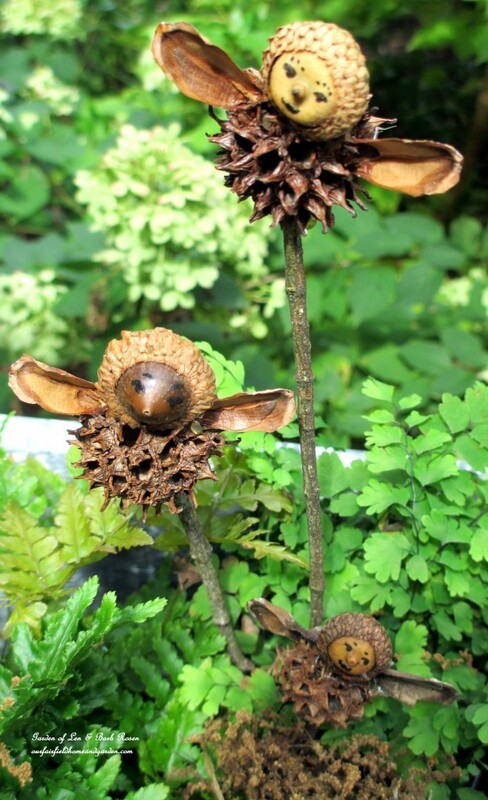 Make Your Own Fairies From Natural Materials! Oh my goodness, that is just so cute! I need to ask my niece to bring me some horseshoes! I’m pinning this for my future fairy garden. I love these doors! Thanks for the tutorial! Well isn’t this just FANTASTIC! It’s SUPER cuuuuuuuuuuuute! Super easy and think of all the color combinations that are possible, Donna! 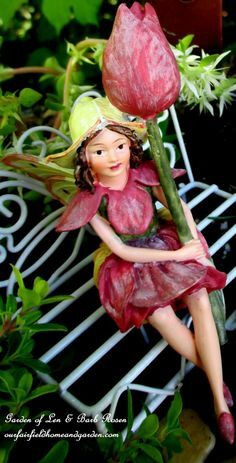 Time to fairy-up the garden! 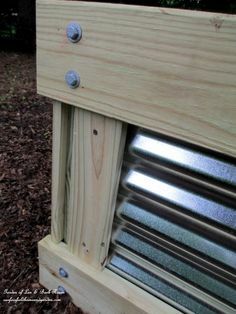 What you would have loved more is me asking the man in the Ace Hardware for tiny hinges to build fairy doors! 🙂 He was real sweet! This is adorable! I have exactly the right place for one too. Thanks for linking up to What’s Blooming This Week. You’re support is very much appreciated. 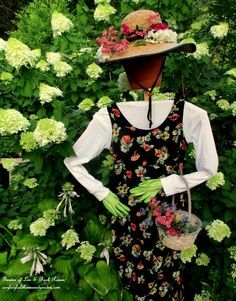 Happy to join in the Garden Party, Heather! Thanks for your kind invitation! Sounds like that will make a proper leprechaun door for your daughter, Sheryl! So pleased to hear you liked my idea and will have some fun with it yourself! These doors are so cool! I wish I had your ingenuity! To even think of using a horseshoe. It is so cute and lends an air of romanticism to the tree. 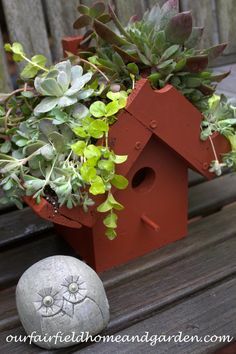 I want to make some fairy garden/houses on log slices so this would be adorable as part of the scene. Thanks!